CorelDRAW Graphics Suite is the ideal tool for novice or professional designers who want to create marketing material. From identity creation that includes logos, product and corporate branding, to specific pieces such as brochures, print ads and newsletters, CorelDRAW Graphics Suite allows you to take charge of your promotional material and bring your marketing in-house. This translates into significant time and cost savings, plus increased creative control. Packed with an array of powerful tools and features that provide precision and ease of use, CorelDRAW Graphics Suite is trusted by designers and pattern makers to help create garment designs and bring products to market. More and more leading apparel design companies are using CorelDRAW Graphics Suite as their layout and design solution of choice. The suite includes the award-winning CorelDRAW and Corel PHOTO-PAINT? applications, or it can be combined with other software, such as Wilcom DecoStudio e1 for an integrated solution. CorelDRAW Graphics Suite has everything you need to create sign graphics of all shapes and sizes. With over 100 filters for importing and exporting artwork, and tools to easily create custom graphics and manipulate text, it's no surprise that CorelDRAW has become the graphics suite of choice for sign makers. Acting on customer feedback, CorelDRAW Graphics Suite X4 includes many new and enhanced features for sign makers. CorelDRAW Graphics Suite is the solution of choice for the engraving, awards and recognition, and vinyl cutting industries. The suite's ease of use, compatibility and value has appealed to professionals in these industries for years, and the latest version is packed full of features that will help make your workflow easier than ever. CorelDRAW Graphics Suite is trusted by people and companies around the world to express creativity, transform ideas into professional results and drive business. All the files areconverted to PDF for convenience. 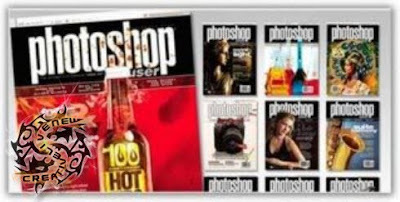 Tutorial from National Association of Photoshop Professionals (NAPP)website.